Museum staff is upgrading the exhibits in the Museum Gallery, so no visitors until next month. New glass display cases will enlarge the space available for exhibition, and new “discovery” drawers have been installed. Stay tuned – watch this space. August 23, 5:30 pm, Natural History Building. Anything you’d like to place on the agenda? Tell Dac Crossley, soilmite@earthlink.net. Better yet, come to the meeting yourself. All are welcome. We’ll be assigning tasks for the coming year, so now is a great time to get involved! "Climate Change and Biological Conservation in Georgia." University of Georgia Josiah Meigs Distinguished Professor Dr. James W. Porter will discuss the phenomenon of climate change as it relates to conservation here in Athens-Clarke County and Georgia. 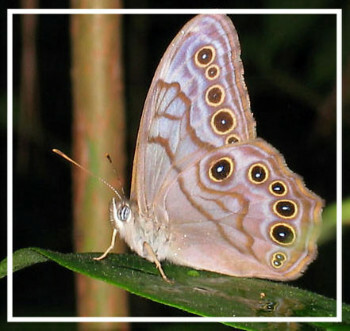 He will describe the presence of three closely-related species of Pearly Eye butterflies within the Tallassee Forest, a rare phenomenon. Dr. Porter’s talk is a part of “John Abbot: Early Georgia’s Naturalist Artist,” an exhibit of rate watercolors and other works from the 18th Century. Friends of the Georgia Museum of Natural History co-sponsors Dr. Porter’s talk. Lecture will be preceded by a reception with coffee and cookies, and is free and open to all.